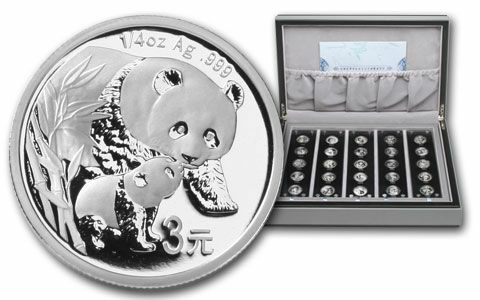 Seize Your Chance for the Most Coveted Silver Panda Set Ever Minted! We’d been looking for it for years, along with countless other Silver Panda collectors. Our search stretched across the Atlantic and Pacific, but for years it met nothing but failure. What were we looking for? 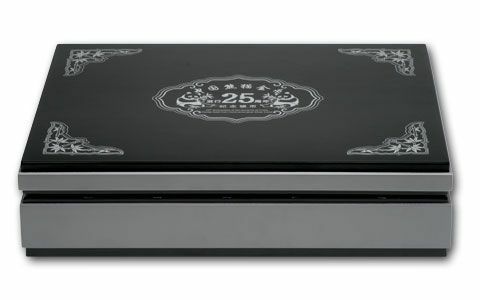 The most coveted Silver Panda Proof Set ever struck by the China Mint— the 2007 25th Anniversary Silver Panda Proof Set. Why is everyone looking for this set? 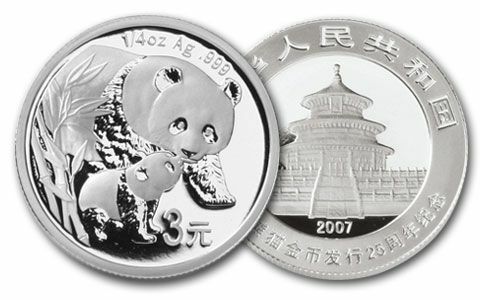 Well, in addition to its special anniversary status, this set is unique among all Silver Panda sets because each one of the twenty-five coins in the set reproduces the original design from the year the coins were first released. What this means to you is, in one fell swoop you can get all twenty-five Silver Panda designs struck through 2007. When you consider how difficult it can be to find these yearly design coins individually, you can understand our gigantic effort to secure this set for you. 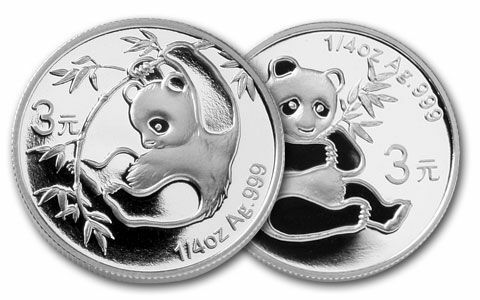 Each Silver Panda in the set is struck in a quarter-ounce of 99.9% silver. Every one is minted from highly polished planchets and dies, then struck under massive pressure to assure every detail is crisp and fresh. 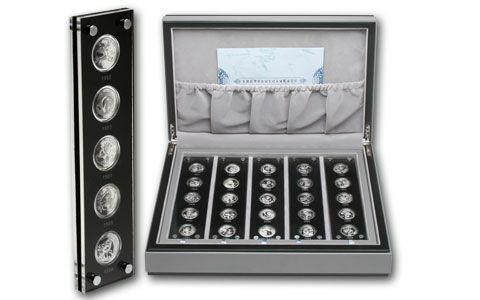 All the proofs are protected in custom acrylic holders, and the set comes in its original luxurious case along with a mint certificate of authenticity. This set is more than a collection—it’s a work of art! Only 30,000 were minted, and we sold out our original allocation in a flash. Hurry to get yours—you may never have another chance.